On Saturday 19th, Bebe Cool shared a muted video on social media showing Hilderman signing shs 2M that he received from Bebe Cool. He captioned the video with a promise of unveiling all the artistes that received money. The Gagamel star claimed that 20 artistes received money from him behind closed doors. The money came from president Museveni but to his surprise, the artistes not only talk ill about him but also abuse the president. Well guess what? Dr. Hilderman, the first artiste to be exposed just responded to Bebe’s video and termed it a black mail. In his statement, Hilderman says the 2M was payment for the services he rendered during the 2016 Tubonga nawe campaign. 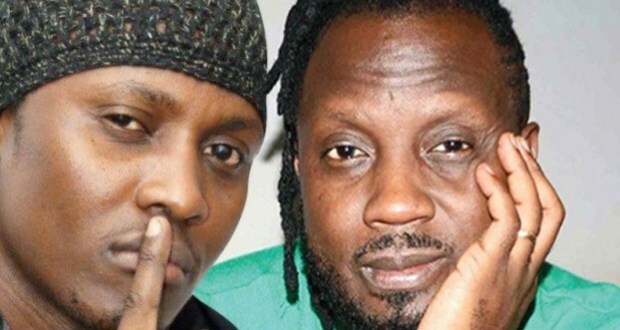 The Mazongoto singer also claims Bebe Cool received 400 M from the president for the artistes Sacco but has failed to show accountability since a few artistes received the money. ‘I was part of the 2016 president Museveni’s campaign trial and I have never declined. ‘I received 2M shillings from Bebe Cool and signed for it. It would be more professional in all your black mail endeavors to bring out everything since you called it accountability.